Had a new, and hitherto reluctant helper today, I believe the correct term may be 'boat widow'. Think she may just be pitying me or trying to humour me a bit though. 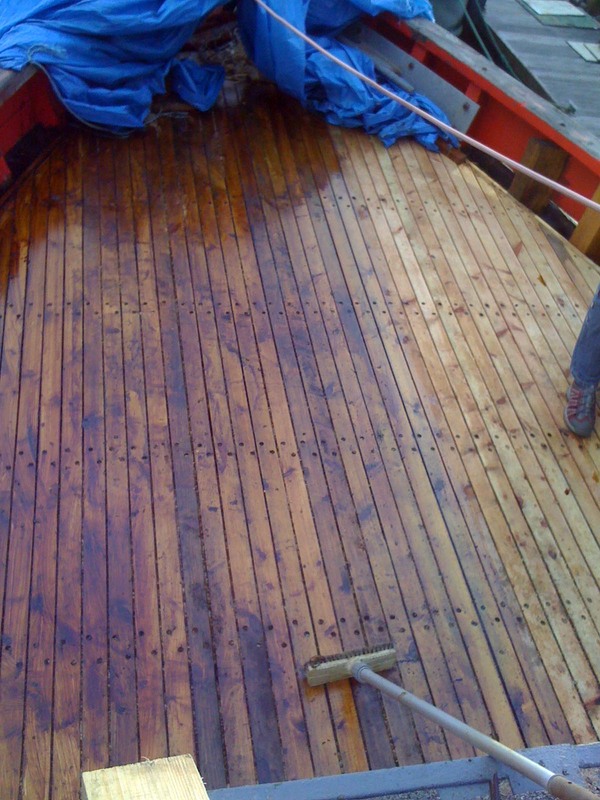 Time to get the seams caulked and the last few lengths of deck plank laid. 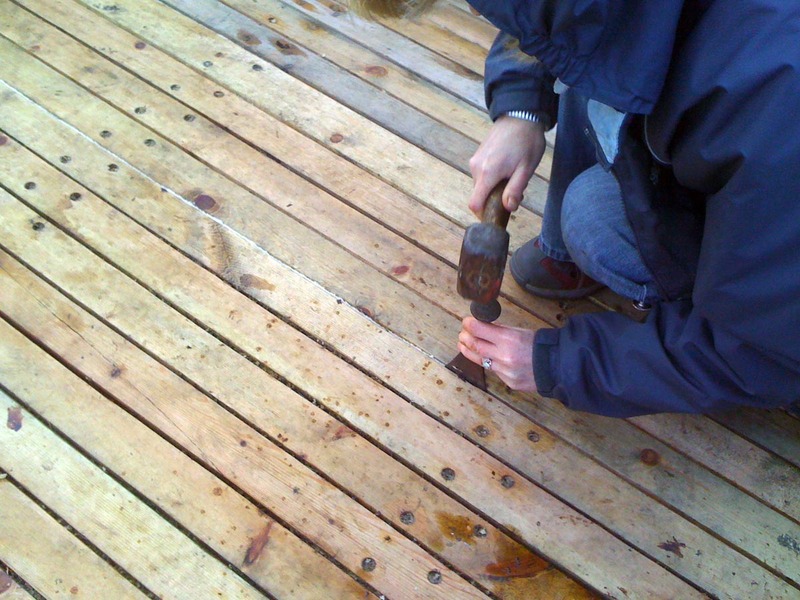 The planky bit was easy, kinda got my eye in now, although, there'es still one short nibbing piece about a foot long thats still not nailed down - ran out of sikaflex! Determined to lash enough of the stuff down to keep the rot and nasties at bay for a very very long time! She can knit, so obviously its a natural progression. Least thats what I told her anyway. 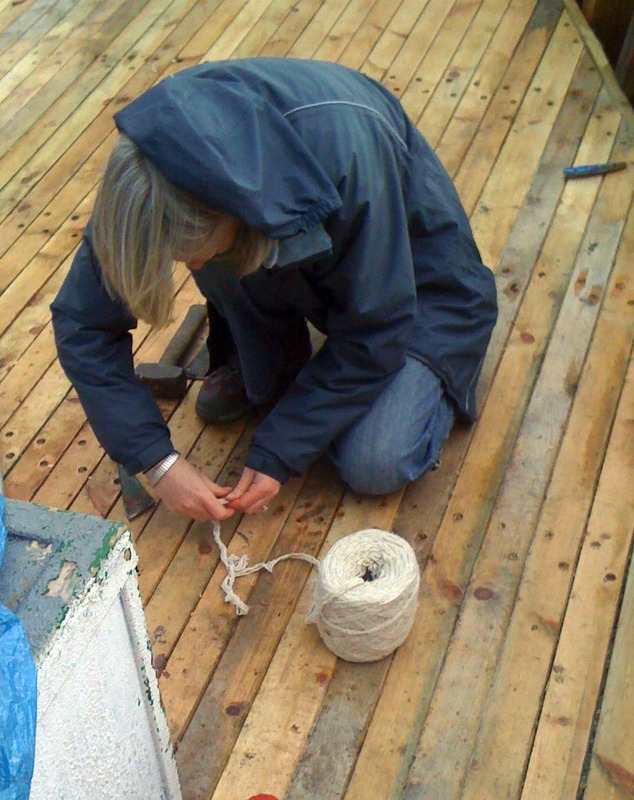 Twist the caulking cotton nice and tight, feed it in and then harden it up with the caulking irons - simples! Once caulked up, there'll just be the seams to pay (cash or cheque??) and that'll be that. With all that Stockholm Tar she will at least smell better than Peter Mandellson's arse, with or without the pineapple. Looks like it is taking good shape. You can never be accused of not sealing it anyway, that's for sure.